You do not want you little child to experience toothache. This is why you should inculcate the habit of maintaining good oral right from the time you baby pops her first tooth. Dental caries, also known as bottle tooth decay, is caused due to prolonged exposure of the baby’s teeth to drinks containing sugar like flavoured milk or formula, or more than normal level of fluoride. 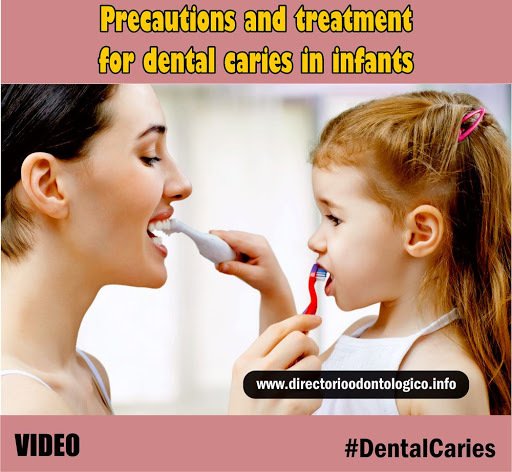 As the saying goes, prevention is better than cure, Dr Sabita M, Consultant Periodontist, Apollo WHITE dental, shares few tips to prevent dental caries in infants. Never share or exchange saliva through common use of spoons or pacifiers. Wipe your baby’s teeth and gums with a small piece of gauze or cloth after every meal. Between the ages of three to six years, use a pea-size amount of fluoride toothpaste to clean the teeth. Do not coat or dip the pacifier into sugary substances. Encourage your baby to use cups instead of feeding bottles from the age of one. Not only teeth but also clean and massage your kid’s gums without fail. Go for a dental checkup once in six months or a year, even if your kid doesn’t show any signs of dental caries. Never put infants to sleep with a feeding bottle or a sipping cup. Avoid giving sugary or sticky substances to your kid. Following basic oral care and prevention will help avoid oral problems in adulthood. However, if your child shows any symptoms of childhood caries, make sure that proper treatment is given at the initial stages. The treatment usually depends on the severity of tooth decay. Initial stage: If it is treated in the initial stages, then there is nothing much to worry about. In the initial stages, when the white spots start occurring on the upper front tooth, fluoride treatment is preferred. In this, a small amount of fluoride is applied on the teeth. This method reverses the tooth decay by giving it a new enamel surface. Later stage: If decay is spotted at a later stage, fluoride treatment will not suffice. Severe cases of tooth decay are given the same treatment like that of adult tooth decay. It would include administration of anesthesia or sedatives for restoration work or for crowning. And in some cases, the tooth may need to be extracted, depending on the severity of the decay. You might also like to read about root canal treatment.